8806 SW 45th Street, Oklahoma City, OK.| MLS# 853099 | Oklahoma City Real Estate | Apple Realty, Inc. This new construction two-story duplex is energy efficient, spacious, and in Mustang School District. 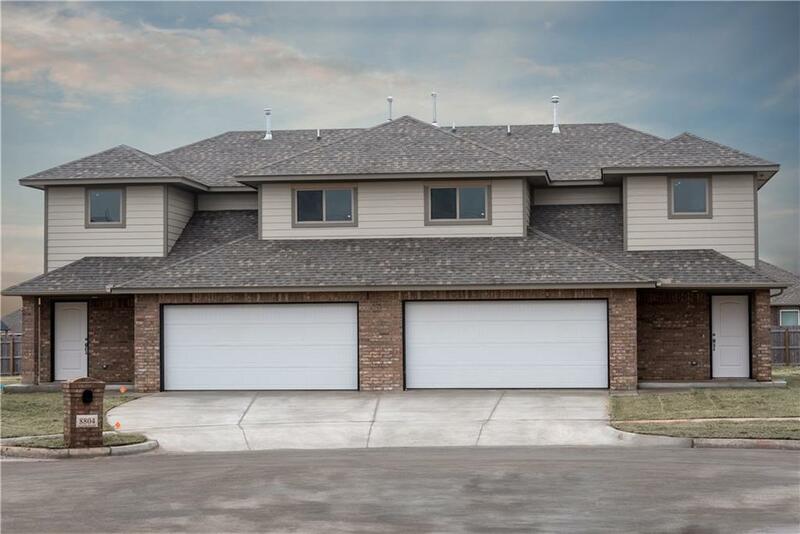 Each side of this multifamily property features 3 bedrooms, 2.5 bathrooms, and a two car garage. Spacious kitchen with breakfast bar that flows nicely into large open concept living and dining area. Kitchen includes granite countertops, large walk-in pantry, dishwasher, garbage disposal, and white subway tile backsplash. Master bedroom has ensuite bath with double sinks and oversized walk-in closet. Property is equipped with an in-ground sprinkler system and alarm system. This property is perfect for investors or home buyers who want a new home plus investment property all in one.